In an age where we can customize cell phone covers or wrap boats with promotional or artistic graphics, it makes sense that someone would come up with modular graphics for a fly reel. 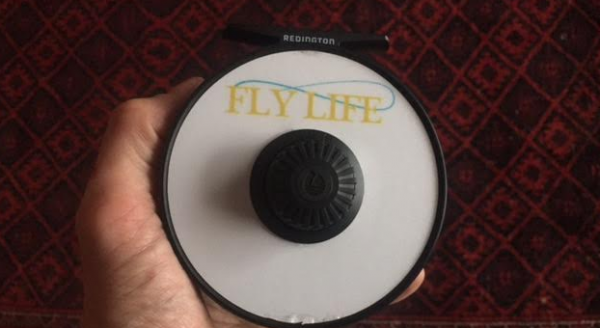 Redington has done just that with the Redington iD fly reel. Redington’s expertise and longevity are well established in the industry. Their reputation for a quality, well priced product with superb warranty and customer service is comforting to its legions of followers, fans and patrons. 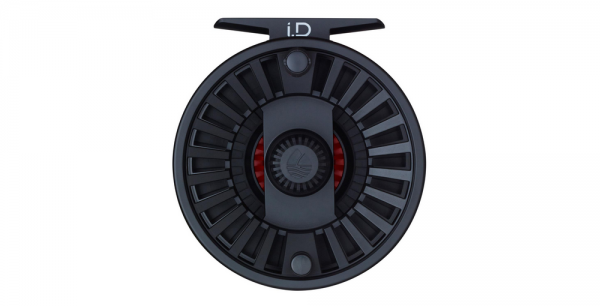 In their words, Redington describes this latest product, the i.D Reel, as featuring, “a flat back surface to accept custom decals representing anything from your home state to your favorite fish species. The decals are simple to remove, stack, or swap to update your reel’s look over time.” This concept is tailor made for today’s millennial aged fly fishers who seem to love to express themselves with original style. I am envisioning future logos and artwork ranging form Spongebob to Steal Your Face, from Heady Topper to Pabst, from Borski to Banksy. Are user generated decals next? Would be a cool next step of this concept. This reel comes in at $89.99 and is available in three sizes: the smallest size is a 3/4, the midsize is a 5/6, and largest model os a 7/8/9. Currently there are 34 decals available. Redington provided me with a custom Fly Life Magazine decal so I have a hunch that truly customizeable decals may not be far off. The i.D reel entails a die-cast construction with full-frame back, that allows for adhesion of decals. It utilizes a large arbor design for efficient line retrieve and “tippet protection”. The drag system consists of a Rulon disc drag.The “Soft-touch” handle has inset rubber pads for comfort. Interestingly, for a mere $20 more, Redington offers a pre-spooled version lined with the very serviceable RIO Mainstream® fly line. Similar to the Redington Crosswater but with a full framr back. I trust the Redington name and reputation. I know that Far Bank Enterprises is here to stay and that means my warranty will stay intact. They have experience in spades. The reel incorporates much of Redington’s general approach to the business. It looks good, functions well, and is inexpensive. We tested the 7/8/9 and found it to be sturdy. The smooth drag hasn’t hiccuped yet. Calling it a 9-weight reel is a stretch but it is a pretty perfect sized bonefish reel. The cast construction and matte finish surely help keep the cost down but it doesn’t feel cheap or compromising in any way. The addition of backing and a fly line for $20 is a steal. Spool removal is a cinch and spare spools will run you just $45. It’s a cool concept and a quality product. I think that people will love this idea and my guess is it takes off. I wouldn’t be surprised if a few companies followed suit.